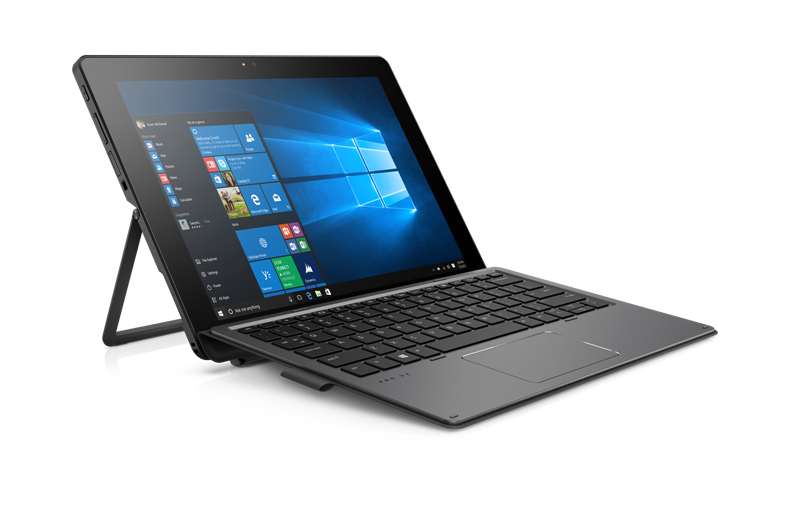 HP Pro x2 612 G2 is the newest entry in the Professional series from the company announced at MWC 2017. The device is the successor to the original Pro x2 612 launched back in 2014. Equipped with a FHD (1080p) display, the hybrid is powered by Intel Core i7 7Y75 processor with integrated Intel 615 graphics, 8GB RAM, upto 512GB SSD, built-in smart card reader, optional fingerprint sensor and optional NFC. In addition to the bumped up specs, the G2 also features MIL-STD 810G certification for durability making it perfect to carry out field work. HP Client Security Suite Gen3 comes installed for additional security measures. The device features various modes like presentation, inking, tablet and notebook mode which are pretty self explanatory. The HP Active Wacom Pen Stylus with App Launch can also be used when the device is tilted via the 165 degree kickstand. Interestingly, the device has a fanless design with a removable M.2 SSD although the battery is non-removable. HP also revealed a range of new vertical workflow accessories for the existing x2 and Elite x3 lineups. A rugged case to store the device is sold separately. No pricing or release date has been mentioned for India.